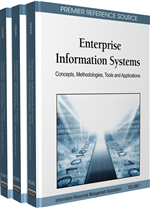 This chapter presents the creation of a process framework that can be used by enterprises in order to transition to mobile enterprises. This framework facilitates adoption of mobile technologies by organizations in a strategic manner. A mobile enterprise transition framework provides a process for transition that is based on the factors that influence such transition. The Mobile Enterprise Transition (MET) framework, outlined in this chapter, is based on the four dimensions of economy, technology, methodology, and sociology. These four dimensions for MET have been identified based on an understanding of people, processes, and technologies. A research project undertaken by the author validates these four dimensions.